If you feel you have to loose 5 kg. or you are too old or only your kids should be in photos not you, or you are simply not photogenic then YOU are the one I am looking for. to be in photos, don't see yourself posing for a photographer in a professional studio like a model, YOU are exactly the woman I am looking for! 21 ordinary women... mums, wives, sisters, friends... managers, artists, executives, professionals... Of all shapes and ages... Will take part of a unique photo-challenge. I want to show 21 women just like you and I; all shapes and sizes on social media 21 days in a row. I am looking for 21 amazing women to take part in this unique project. And if you hurry, you might be one of them! 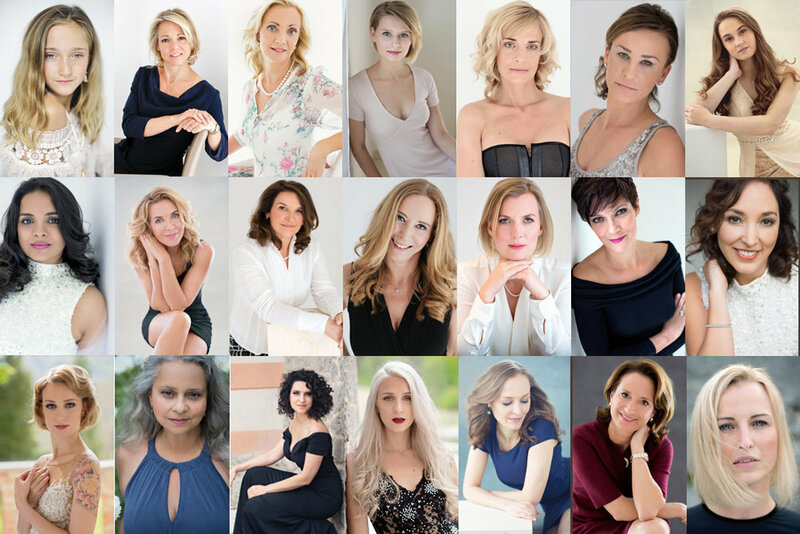 From the candidates, 21 women will be invited to Starnberg for a unique “model-for-a-day” experience with professional photographer Charlotte Starup. They will have a luxury wardrobe at their disposal for the photoshoot and a professional make-up artist who will get them ready to star. Each woman will be featured on social media at the end of the project with their before and after. The aim is to show that all women are beautiful and can shine. Each 21 participants will be presented with 25 images from their session printed and place on the wall for them to see. They can each choose their favourite photo printed and matted free of charge (20*30 cm). This will serve as a reminder just how beautiful they are! 2. Tag in the comments (under the call-for-participants) a woman you believe deserves a “model-for-a-day” experience and explain why. This can be YOU! A Danish wife, mum of three wonderful teenage boys and a lover of luxury, design and beauty. Charlotte has been educated, inspired by and personally mentored by world renowned, award winning photographers, Tamara Lackey, Sue Bryce, Emily London Miller and Heike Delmore.